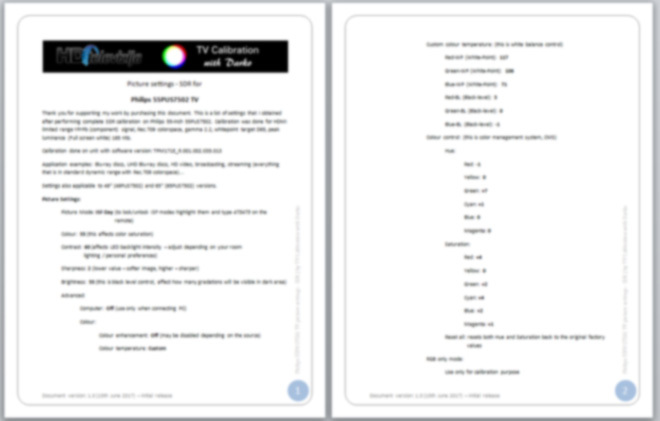 This is a list of settings that I have obtained after performing complete HDR (high dynamic range) calibration on Philips 55-inch 55PUS7502. Calibration was done for HDMI limited range 4:2:2 YPrPb (component) signal, BT.2020 color space, SMPTE ST.2084 EOTF, HDR-10 and white point target D65. Settings also applicable to 49“ (49PUS7502) and 65“ (65PUS7502) versions.